In order to accommodate increased traffic flow along this busy urban corridor, a replacement truss bridge for the BNSF railroad was required. 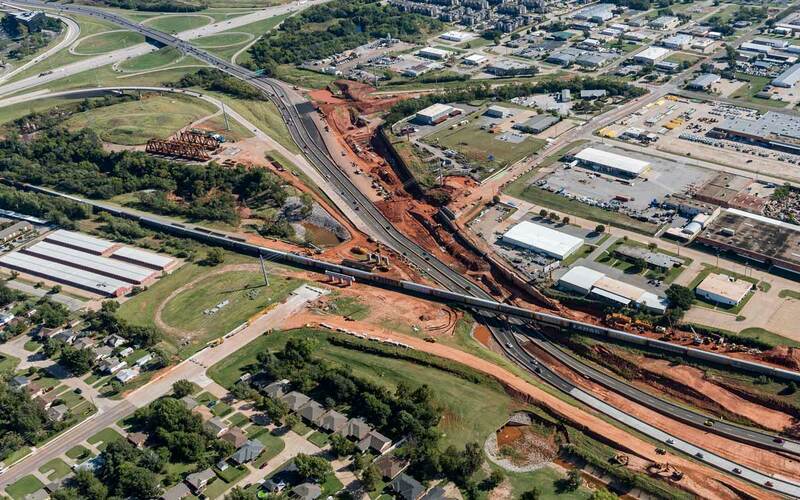 The project widens the I-235 mainline between the 36th Street project and 63rd Street, relocates the Burlington Northern Santa Fe Railroad mainline to the east, and replaces the 50th Street Bridge entrance and exit ramps to/from the mainline as well as access to/from NW 50th Street. 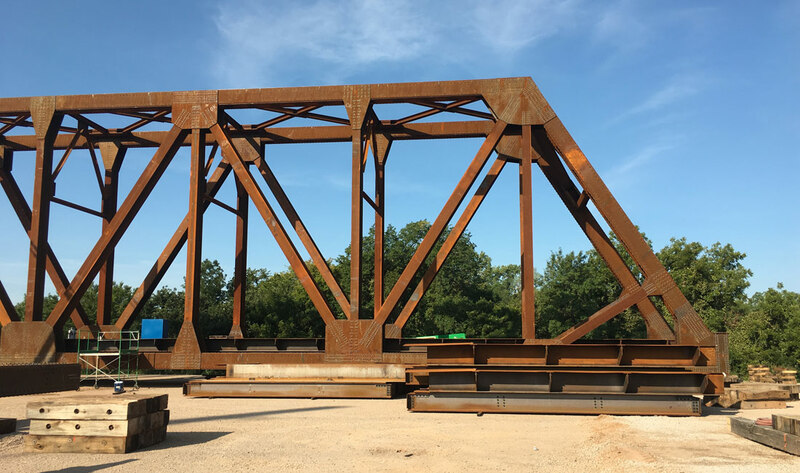 Structural design includes a 558’ steel truss bridge structure to cross I-235 Mainline, replacing the existing railroad bridge which constrained Broadway to 4 lanes. 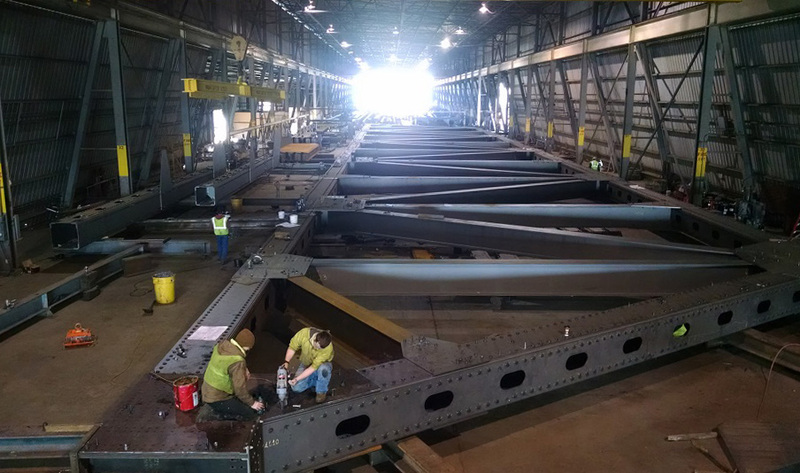 The truss structure is 47’ tall, with two spans 275' long each, composed of 3.8 million pounds of weathering steel, at a cost of $17.5M. The adjoining 50th Street replacement bridge design crosses over the new BNSF railroad, Deep Fork Creek, and the I-235 mainline. 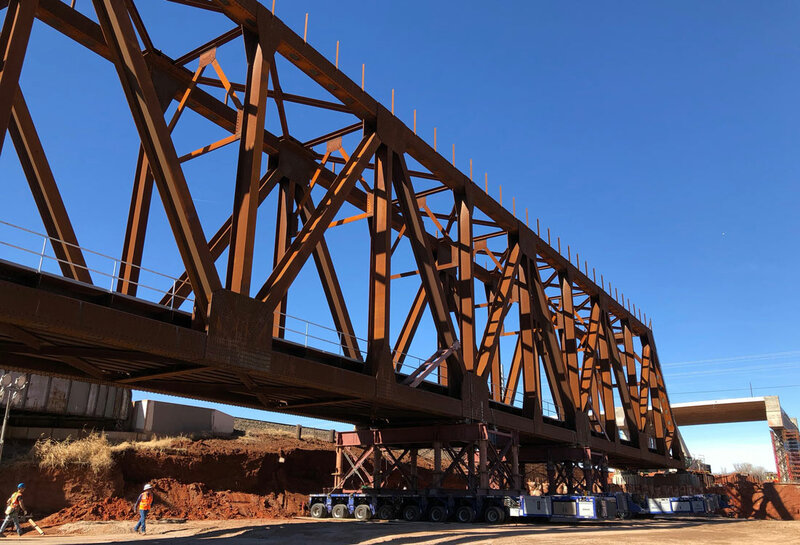 It consists of steel span designs, pre-stressed box beams, and ODOT pre-stressed beam shapes to provide economy and required clearances over the BNSF and I-235 Mainline. 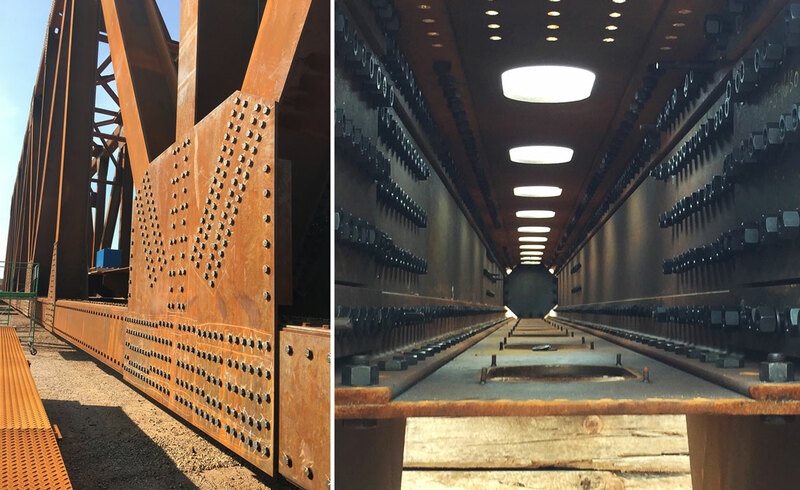 Drilled shaft walls with a maximum height of 33’ are incorporated along the mainline alignments to retain the railroad embankment eliminating the excavation effort necessary to install footings for traditionally designed retaining walls. Other portions of the railroad embankment are retained by conventional cantilever retaining walls, with heights ranging to 13’. Where possible, MSE walls are used for economy, with heights up to 36’. 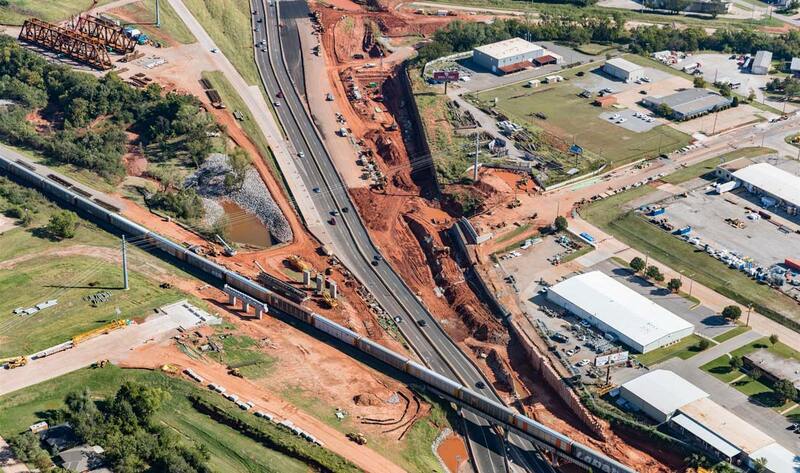 Coordination with the City of Oklahoma City, Burlington Northern and Santa Fe Railroad was paramount to implementing the designs and construction plans. 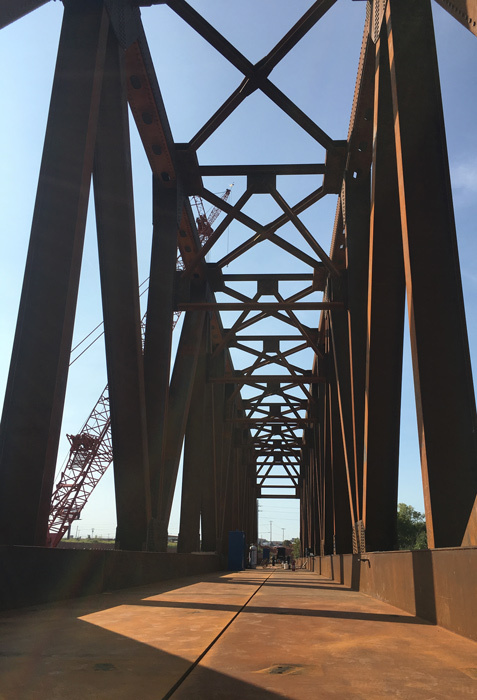 Movement of the trusses into their final destination took place in late January 2018, and involved the temporary closing of the interstate over 1 weekend.